So after reading my previous article on the subject of free to play, or Premium accounts, in DDO you’ve decided that you want to go the free to play route or premium account route in DDO. However you’re not sure what is available, what there is to do, and how to make your free to play experience better. That’s where this article comes in. Today we’ll be discussing which quests are free to play, what sort of favor you can get out of them, and how you can roll that favor over into Turbine Points using Free Player and Premium accounts in game. To begin with here is a chart detailing exactly what quests are available to you for free. Next to each quest is the amount of favor you can gain on the quest by completing it on elite difficulty. In general these quests are those that ae “Standalone”, meaning they’re usually not part of a large series or they aren’t tied to a large area outside Stormreach. (EX: Sorrowdusk Isle, Threnal Ruins, etc.) To those new to DDO you might not be familiar with what favor is, and why this is important to you. Favor is a lot like faction standing in other games. Each quest in the game is being presented by one of the factions within Stormreach. Completing a quest for them gives you a certain amount of favor with that faction and when you reach certain milestones of favor with each faction you get certain benefits, and when you reach certain milestones of total favor you receive some benefits as well, like Drow Access, 32 Point builds for new characters, and Favored Soul access. But favor now provides more than just those benefits. Now in module 9 favor is also the mechanic that awards player free Turbine Points in the DDO store. This is important because, as a free to play player, unless you intended to buy adventure packs with your own money you are going to need favor to get free Tubine Points to take any quests over level 12, not to mention you may need to buy leveling sigils if they haven’t dropped as quest rewards for you in time. There are two kinds of awards that are given out for favor. The first award is for reaching a total favor milestone with one character on a server. Once you’ve reached the milestone with one character on that server you cannot earn that reward again with another character on that server. The second award is a per-character award that is granted for every 100 total favor reached with every character you create. As you can see from this chart, if you plan to earn as many favor points as possible what you’ll need to plan to do is to make characters on all of the available servers in the game. As you can see from the first chart you can only earn a total of 915 points of favor from free quests. Doing that with one character on one server is going to earn you 150 Turbine Points in Once Per Server awards and 225 Turbine Points in once per character awards for a total of 375 points, though you would be earning points faster if you stopped at 500 favor and moved on to the next sever, at least until you ran out of new servers to make characters on. How much is 375 points? Well The Vale of Twilight, a good area to goto when you are level 12, costs 700 turbine points, and VIP subscriptions get 500 a Turbine Point stipend a month. There are a total of 6 servers available. Let’s say you have a free player account instead of a premium one. That means you have 2 slots per server. If you completely maximize your favor on all six servers on each of your two slots you’ll gain a total of 3,600 Turbine Points. That’s enough to purchase The Vale of Twilight, The Devils of Shavarath, The Ruins of Gianthold, The Reaver’s Reach, and The Restless Isles to give you all the quests you need to reach 20. If you at one point spent money on the game, giving you a premium account, you would gain four slots total meaning using only free quests you could gain a maximum of 6,300 favor, just 4,345 points shy of being able to buy all the adventure packs. Also remember, any adventure packs you purchase are going to give you more quests which mean more possible favor for you to access. What is all comes down to is how much time you have to spend to actually gain this favor to get the turbine points. To reach that maximum of 6,300 favor you’d have to level up 24 characters to level 12 across all six servers, or by finding high level players willing to run you through all 79 quests, on elite, for each of those 24 characters. If on the other hand you’re happy sticking to the selection of free quests above only intend to buy items to allow you to gain more quests past twelve then you may find a happy medium. Picking up The Vale of Twilight and The Devils of Shavarath will give you quests to get you to 20, and picking up The Reaver’s Reach and The Ruins of Gianthold will expand that quest selection. Just don’t forget to plan to buy some leveling sigils along the way. With Dungeons and Dragons Online Eberron Unlimited now in the world of free to play there has been a lot of talk about how the benefit of each price structure stands up to the other. For those of you unfamiliar with the Free to Play model for DDO Unlimited the way it works is that there are three types of accounts, VIP, Premium, and Free. In this article when we talk about free to play we’ll be referring to Premium accounts, which are those accounts that were at one point subscribers or any account which has purchased Turbine points. Here’s the quick rundown on how those accounts types compare to each other. Got all that? Good. Now in this article we’re going to assume that to a player with a free to play, or premium, account the main cost to them is going to be purchasing adventure packs, leveling sigils, classes, races, and extras like the shared bank tab. Character Slots aren’t going to be considered a primary concern for price because the number of character slots a player would want to have is highly subjective. We are going to assume that being able to reach level 20, and being able to join any party’s quest, regardless of were it is, being able to try all the races and classes, and having the bank tab are something that most players are going to find worthwhile to have. We’re also going to assume that US Dollars is the unit currency that you will be using to make any purchases. Before we begin, let’s review the VIP subscription prices as a basis for comparison. Now free to play players aren’t going to be making their purchases directly in USD, but instead in Turbine Points, or just points for short. Now while it is possible to acquire points by earning favor, we’re going to assume that points spent throughout this article are points that have been purchased in the DDO store. That makes our first task to determine the exchange rates of points to $1 USD. Below is a chart detailing the point packages available and how many points per dollar spent is actually received in the purchase. Included in the chart are two 5000 point packages that are not noted as being standard, and at the time of this writing cannot be purchased in the DDO store. To explain their presence on 9/12/09 Turbine sent out an email with the statement, “Limited Time Only! Get 5,000 points for $49.99. This would normally be priced at $54.99. Best. Deal. Ever.” In their DDO Store Guide the 5000 point package replaced the 3300 point package and was listed as being on sale for $49.99 and that package was listed as having a regular price of $54.99. This package was avilable only on 9/12/09 and 9/13/09. On 9/14/09 the 5000 point package was removed from the DDO Store and the 3300 point package returned, and the DDO Store Guide was later edited that day to have the 3300 point package replace the 5000 point package once again. As you’ll see in this chart, the 5000 point package has a better exchange rate, even at $54.99, than the 3300 point package at $38.99. It’s currently unknown if the 5000 point package is intended to return frequently, though sales in the DDO store are fairly common, something we’ll get to later. Either way, these packages are included in this chart and later charts for players who may have stocked up on points during this weekend sale, and as a point of reference in case the 5000 point packages make a return. So now that we know what $1 is worth in points for each pack we can begin to convert the Turbine point prices you see in game into what their actual cost in USD is. Now first we will analyze what I consider to be the biggest sink of points, adventure packs. Adventure packs are a big sink of points because typically parties don’t make a party based upon if the pack is free to play or not. Now the “Grouping” listing under the social panel is supposed to tell free to play players if a quest is in a pack they havent’ purchased by replacing the listing of classes needed with a large “BUY NOW” sign, but this hasn’t been working consistently. It also requires the party leader posting the looking for members listing to enter the right quest in the looking for members listing, just putting the quest series in the comments won’t work. Needless to say spending time getting ready for a quest only to realize you can’t go is embarrassing and frustrating. Below we have two tables showing the cost of all the adventure packs currently available and their price in USD depending on which package of points you decided to get your Turbine points from. The first table shows the adventure packs at their regular price. The second table shows those same adventure packs at their sale price. Sales in DDO are generally %25 off the regular point price of any item, and with any decimals dropped. The current sales at any given time can be found in the “Today’s Deals” section of the DDO Store. Obviously Turbine can, and has, offered sales at different values, such as 20% for XP Boost Potions for the 9/12/09 weekend sale, but for this article we’ll assume any sale is the common 25% discount. The adventure packs are listed from low-level to high-level in the order they appear in the DDO Store with lower brackets given preference if the adventure pack is listed in more than one bracket. Once an adventure pack is bought it is applied to every character on that subscription and never needs to be purchased again. Owning an adventure pack allows a free to play player to purchase guest passes for that adventure pack also. As you can see the price of all the modules isn’t too out there. Assuming you bought all your points from the 3300 point package you could buy every single adventure pack in the game at $125.77, a little less than a 1 year VIP subscription, and only $94.24 if you were willing to wait for those module to come on sale. And if you had stocked up on points during the weekend sale and bought the adventure packs on sale you could get them all for $79.74, slightly more than a 6 month VIP subscription. Now adventure packs aren’t the only cost the free to play player is going to incur. Each character a free to play player has starts out only being able to access levels 1 to 4 instead of 1 to 20. To be able to reach levels 5 to 8 they need a copper leveling sigil, 9 to 12 a silver one, 13 to 16 a gold one, and 17 to 20 a platinum one. Unlike adventure packs which the free to play player will only need to purchase once ever each character the free to play player has is going to need leveling sigils to advance so these can often be considered a fee for having a character above and beyond actually having the character slot. Leveling sigils may be received for free in the course of playing as quest rewards. The lesser value the sigil the easier it will be to find with copper sigils easy to acquire and platinum sigils very difficult to acquire. Below are the tables for the leveling sigil costs. So in conclusion the free to play player can basically be expected to be charged a fee of $9.92 for each character they create, or $16.95 if that player needed to purchase a character slot for that character. (See below for character slot pricing.) That’s over a month of VIP subscription! Also remember, if you delete a character and re-create them you’ll need to pay the $9.92 for new sigils for the new character all over again. For some people this isn’t going to be much of a big deal, but for anyone who plans to create a lot of characters this is going to be a big problem. One more thing to note, if you have a VIP subscription and level your character to say, level 8 on it, and then let your account go back to a premium account that character wouldn’t need to purchase a Copper Leveling Sigil. Leveling sigils only stop you from going to a trainer and training up your level. Once you have that level the game is at least nice enough not to take it away from you. Finally there’s one section of fees that I consider to be a big part of the cost of getting your free to play account “up to snuff” as it were, and that’s those little extras like the Drow and Warforged races. Now in the interests of being fair remember that you can still get the Drow race as a free to play player by getting 400 total favor, and the favored soul class by getting 2500 total favor. Also important to note is that additional character slots increase the number of slots you have across all six severs, not just one. As with the previous entires these are going to be posted with a regular price and 25% discount price. A small disclaimer though, none of the items on this table have yet to be discounted at all so there is no way of knowing if they ever will, or at what discount they will be offered at. As you can see, some of these are pretty expensive, with the shared bank tab running a whopping $17.66 all by itself with the second biggest purchases being the Drow, Favored Soul, and Monk classes at $9.39 each. Now then what does all this mean? Well if you’ve been paying attention there’s been a number totals on each chart. So now we come to the time to add everything to reach the true cost of what it costs to get the entire DDO package through Turbine points. Note that in the tables below Account Options does not include Character Slots, which is accounted for in it’s own entry. As you can see from the Grand Total charts if you’re happy with slots 1-4 you’ll be looking at a total of $218.32, which is about equivalent to 1.5 years of VIP subscription. And if you want slots 5-10 you are looking at a total of $320.02, or 2.2 years of VIP subscription. Remember that this is only taking into account one server. You’d still have to buy more sigils for characters on new servers, though luckily the character slots apply to all servers. Also remember that the VIP subscription is going to give you 500 points every month just for subscribing, which can be used for the purchase of adventure packs, items, etc. that the free to play player is going to generally have to pay for out of their own pocket. Note however that to actually buy something the VIP subscription gives you access to you need let the subscription run out since the store won’t let you buy anything you already have access to from the VIP subscription. So there you have the actual cost of what the free to play, or Premium Account, option in DDO is really going to cost you. Needless to say after I did this analysis I decided to stop buying adventure packs and instead switch to the subscription model as there is no guarantee the game will even be open long enough to justify the cost of purchasing everything a la carte, and I’ve become used to having a diverse quest selectiion and all the account options. For those of you who want to stick with the free to play options, check out the article following this one where I tell you how to get the most out of your Free Player or Premium account in DDO. 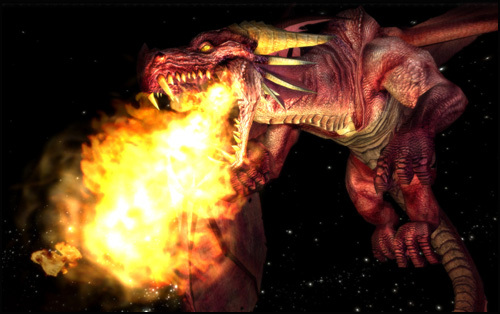 Dungeons & Dragons Online, or DDO, goes Free to Play today. This is a game that I’ve enjoyed in the past and now that it’s become a free to play game I’m enjoying it once again. I was part of beta and have been playing since the first as part of the head start. And while I enjoy the game for being filled with hand-crafted plot-driven dungeons filled with traps and diabolical enemies rather than the random collection of enemies that fill most MMOs, the shortcomings of game have always been some glaring obvious, making this a game you have to willing to forgive the rough spots to enjoy. First, after playing 4th edition for over a year the problems with 3.5, which DDO is based on, are even more orbvious than they were in the past. DDO has had to do some major tweaking to get the system to work, especially at higher levels, but the troubled core still shows. The biggest problem is that you’re enslaved to requiring a cleric. Thankfully there is some effort to try and alleviate this with the Favored Soul class from the Miniatures Handbook, but it’s still a major problem. In contrast in 4th edition the cleric is also part of the class role of leader. All the classes with the leader role have different strengths and features but they all have some things in common, some healing and abilities that largely benefit the party as a whole being one of them. It’s designed so that a party can do well with any of the leader classes, be they Bard, Shaman, Artificer, Warlord, or yes, even Cleric. In DDO you can’t just say, “We’re good, we’ve got a bard,” because bards aren’t made to cover the leader function like they are in 4th edition. So that means if you want to go adventuring you must find a cleric for your party. (Or maybe a favored soul, but the class is brand new.) This is a real drag on trying to get anything done, and generally all this seems to do is make it so clerics are tired of being hounded to join teams and make themselves anonymous. Goody. The other problem is that your classic problems with some of the martial classes are alive and well in DDO. Unlike 4th edition where your Fighters, Barbarians, and Paladins all play very differently from each other in DDO they’ve got a lot in common. Now DDO does a lot to fix this by using their enhancement system, a system of which some of it’s ideas seem to have made their way into 4th edition, such as all the racial themed feats we see in 4th edition. So the problem isn’t as bad as straight 3.5 would be, but it’s still there. My 4e Paladin definitely feels like more of a Paladin than my DDO paladin feels. My other big problem with DDO is that the idea of “Free to Play” seems to be pretty subjective. Now granted Turbine isn’t totally out of line here. But leveling sigils per character? I mean it’s nice they added them as in-game loot but was that really needed? And paying for modules is pretty damn expensive. If you buy all of them you’ll have bought a few years worth of subscription time for a game that probably doesn’t have many more years left. Still, I’m glad it’s in the way that it is, but I don’t think this model is going to appeal to people looking for a free to play game. I think it’s only going to appeal to old players like me who play occasionally, allowing us to come back on when we feel like it without turning subscriptions on and off. So that’s pretty much my take on the warts on DDO. There’s other problems too, like the visual design is pretty un-inspired and doesn’t use the Eberron source material to it’s full potential. Compared to LOTR it’s clear DDO got shorted when it came to development, though I can’t say why. Maybe Turbine didn’t think having the license to make a D&D MMO was too profitable. Still the game does posses a great gauntlet-style combat system that makes battle fun and exciting, and adventures feel exactly like that, adventures. Add in voice chat and you’ve got a great recipe for some fun. I just wish it got the polish it needed.